There are many ways to get Linux on a laptop, and certainly the most common option is to install it yourself. Buying hardware with Linux preloaded also helps ensure that usage statistics for the free and open source operating system are a little more accurate by making sure your operating system “vote” gets officially counted. In any case, last week Linux-focused vendor ZaReason launched a brand-new Linux laptop targeting the high end of the market, and it looks pretty attractive. Here's a quick rundown of some of the key features in ZaReason's Verix 2.5, which is available now priced starting at $1,799.00. The 15.6-inch Verix 2.5's base configuration includes a 2.3GHz Intel i3-2350M processor with two cores and four threads, but i5 and i7 alternatives with up to eight threads are also available for an extra charge. For memory, 4GB of DDR3-1333 comes standard, but it's expandable up to 16GB; the default hard drive offers 250GB and 5400 RPM, but upgrades include a 300GB Intel SSD. Nvidia's GTX 580M serves as the video card with 2GB of DDR5 video RAM. A bright LED backlit display offers 1920-by-1080-pixel resolution, while a subwoofer and speakers on both sides of the keyboard promise quality sound output. 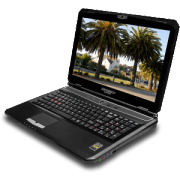 Bluetooth, 802.11 B/G/N WiFi, a 3.0 megapixel webcam, and a combo CD-RW and dual-layer DVD-RW drive are also included. Ubuntu 11.10, Debian 6, Linux Mint 12, and Fedora 16 are among the operating systems that can be preinstalled; alternatively, the machine can also be purchased with no operating system at all. The Verix 2.5 certainly isn't the cheapest laptop out there, but it offers a number of advantages that could counterbalance that price. If you're a Linux fan and are in the market for a high-end laptop, this could be a good one to check out.